Classical Indian Dance is an eloquent expression of an ancient civilization. Shiva, the God of dance represents both creation and destruction, while the dance itself nurtured in the precincts of the temple and dedicated to the divine, is the highest form of worship. In ancient India, the arts of dance, drama and music were fused into one, as seen in the treatise called the Natya Shastra – the science of dramaturgy written in Sanskrit by the Sage Bharata around the second century B.C. The dance style known today as Bharatanatyam, flourished in the areas around the Southern Indian State of Tamil Nadu. Adhering most closely to the principles laid down in Bharata’s Natya Shastra, Bharatanatyam was nurtured over the ages in the temples of South India. 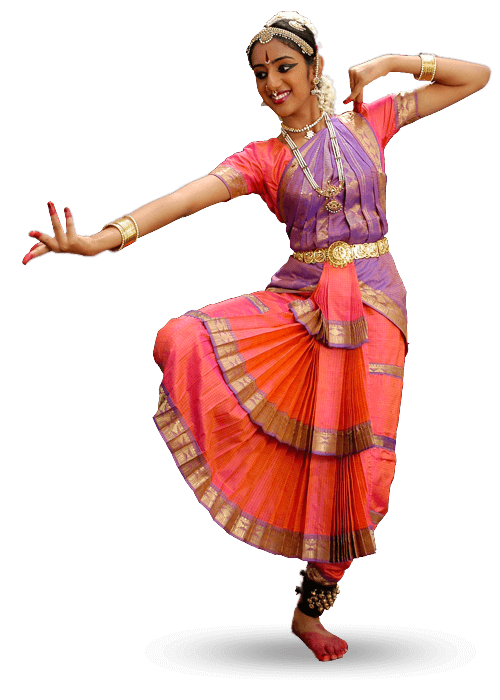 This style is one of the most ancient and arguably the best known Classical dance forms of India. Graceful movements, mime and music contribute in equal measure to this traditional and beautiful dance. Speaking a Universal language of gestures, replete with diverse moods and emotions and portraying rhythmic precision, the dance essentially brings to life the glorious sculptures of the temples as well as the mythology of the land. In the word Bharata are the three components of dance: Bha for Bhava (expression), Ra for Raga (melody) and Ta for Tala (rhythm). 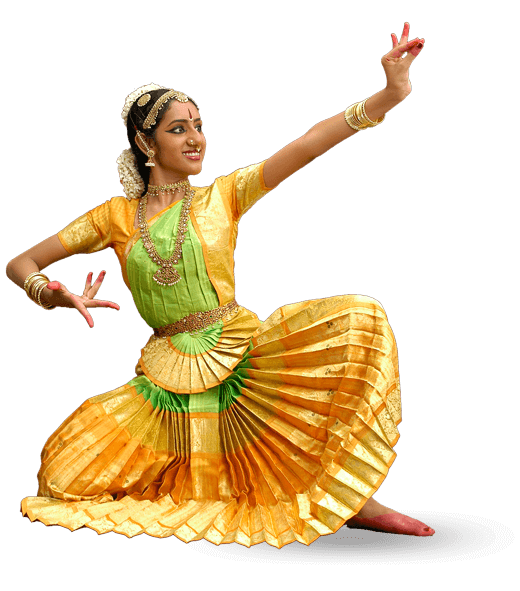 Bharatanatyam is a highly complex and stylized combination of these three features. The Kuchipudi style of dance has its origins in the village of Kuchelapuram in the Southern State of Andhra Pradesh. The technique of Kuchipudi makes use of fast rhythmic footwork and sculpturesque body movements. Stylized mime, using hand gestures and subtle facial expression, is combined with more realistic acting, occasionally including dialogues spoken by the dancers. In this blend of performance techniques, Kuchipudi is unique among the other Indian dance styles. Historically, Kuchipudi was performed as a dance drama, with several dancers taking different roles. Kuchipudi today, is performed either as a solo or a group presentation.